December’s gotta be our favourite time of the month – lots of new Christmas-themed gift sets and items, and of course – beautifully-lit Christmas places to really amp up the Christmas spirit. So, where to go? We have a list of seven most exciting Christmas events taking place in Singapore. Check out what each event’s about, what to look out for, admission fees, and when they’re happening. Think of it as Singapore’s rendition of European Christmas Markets. This year’s Christmas Wonderland features a magical journey through a beautiful, spell-bounding mirror maze (perfect for photo opportunities! ), skate under the stars, experience ‘snow’ in the tropics. 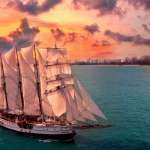 Apart from these new activities, it also involves the usual classics like visiting Santa at his grotto, sampling wine and food whipped up by gourmet chefs from Monti, Shoukouwa, and Saint Pierre, take part in carnival games and kiddy rides, and peruse the festive market to really soak in Christmas in all its glory. Another new month, another new display at the Gardens By The Bay. But with a Christmas-y twist this time round – your favourite Disney Tsum Tsum characters will be stacked upon the HIGHEST Christmas tree within this Tsum Tsum-filled Flower Dome. Meet other Disney favourites like Olaf, laying amidst a snowy landscape of poinsettias, Christmas berries, and holly, while Dumbo prepares to take flight with a sled full of presents. You know what to do – get your cameras ready for the ‘gram, duh! Hopped onto the bandwagon and took an OOTD shot at the Art Science Museum? Take your #OOTD game up a notch with Christmas-themed installations alongside Santa Claus in a special festive digital universe installation. 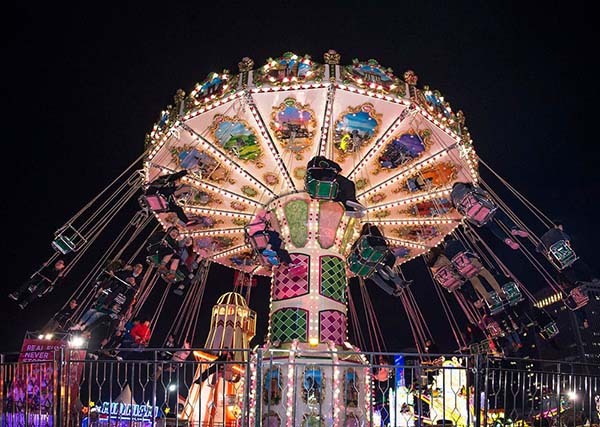 The Prudential Marina Bay Carnival returns to the Bayfront Event Space for a second year. Offering 50 thrilling rides and games, including four new ones, visitors are guaranteed an exciting time on their heart-pounding rides. Hunger pangs through all the adrenaline-rush from the rides? Roving food trucks will be at hand to satiate hunger pangs. For those who get bored easily or are not much of an adrenaline-junkie – there’ll also be buskers around to provide you some live-entertainment and music, as well as a curated series of art and craft workshops to learn new skills you’d never think you’d pick up from a carnival, of all places! Admission fee: Free, but each ride requires credits of varying value. 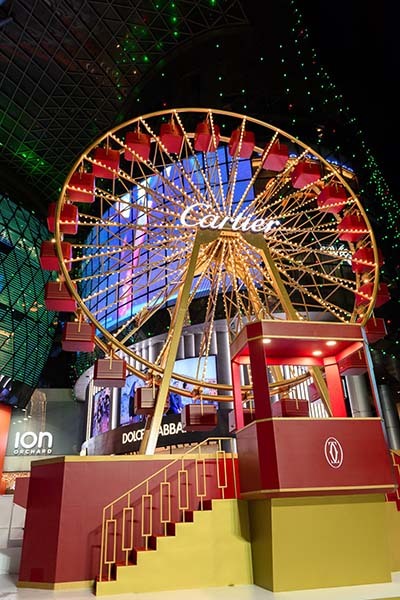 If you’ve passed by ION Orchard, chances are, you’ve seen the GINORMOUS 14-metres tall Cartier Ferris wheel parked right at the entrance of ION Orchard. Did you know that it is the LARGEST known decorative Ferris Wheel in Southeast Asia currently? As mentioned, this Ferris Wheel is purely decorative, which also means you can’t ride it. Boo. BUT, you can take some gorgeous pics in front of it! From now till 1 January, shoppers and visitors are invited to take a complimentary kaleidoscopic picture of a fun Gif with family and friends within the Cartier carriage booth at the base of the Ferris Wheel. A millennial’s dream combination: Insta-worthy photo-taking spots, and Insta-worthy food. Just a stone’s throw away from the main mall, the ION Orchard Christmas Park will be adorned with Christmas trees, colourful baubles, and over 800 beautifully wrapped gift boxes, making it the perfect festive backdrop in your IG pic. 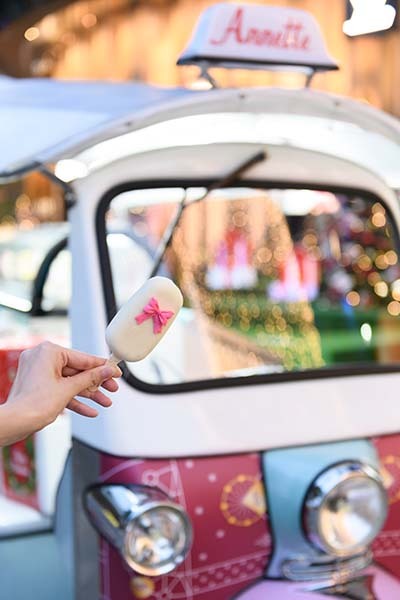 Visitors will also be able to get their hands on a selection of Insta-worthy ice creams as they soak in the festive atmosphere. 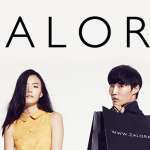 Judge for yourself to see if ION Orchard’s completely nailed the millennial dream combination! Because what’s Christmas without some live entertainment and music in the background? Starting 30 November, shoppers and visitors will be treated to an exciting line-up of entertainment that is sure to spread Christmas cheer to people of all ages. Look forward to charming and exciting performances put up by the ION Sparklers, inspired by the world famous dance group “The Rockettes”, kicking their heels to fun, Christmas favourites! Other highlights include performances by the Roving Brass Band which blends jazz, funk, Latin, and hip-hop styles with traditional New Orleans brass sounds. Adding to the festive atmosphere will also be a live Juke box – backed by passionate singers from the band Overdrive belting out Top 40’s and rock music hits, evergreen classics and more. And last but not least – there’ll also be a not-to-be-missed photo meet and greet with Santa Claus – great for the kiddies if you bring them along, or well, for the young at heart. Yes, that Palace of Versailles. Forget getting an expensive plane ticket to Paris – when you can see it right here in Singapore! In digital-form, at least. From 30 Nov to 6 Jan, 2019, ION Orchard will host Virtually Versailles, a digital exhibition that allows visitors to experience the splendours of the finest French art, culture, and history dating back to the 17th century. 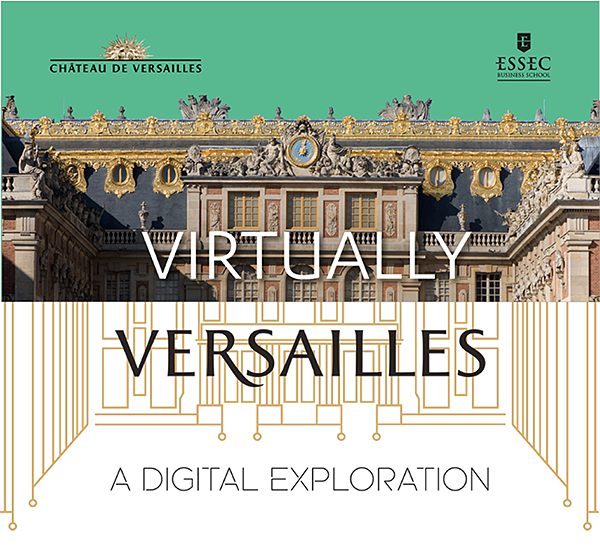 The exhibition is an initiative by the Palace of Versailles, ESSEC Business School and ION Orchard, which will take visitors on an experiential journey of exploration of the Palace of Versailles for the very first time in Singapore! When: Event dates differ for each event. Check out the different dates here. 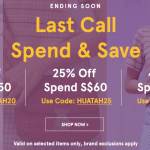 You’ve most definitely seen (and heard) the highly anticipation for Disney Christmas Light Up this year from Tanglin Mall all the way to Plaza Singapura, regardless of whether you love it or love it hate it. The very first BRANDED light up ever in Singapore, this year’s Disney Christmas Light Up features four themes in total, in four different sections in Orchard: a Disney Princess theme from the stretch of Tanglin Mall to Shaw House decked in lights of barbie-pink, a Mickey Mouse and friends theme from ION Orchard to Mandarin Gallery, a Frozen theme from [email protected] to Orchard Central both decked in blue lights, and finally, a Toy Story theme from Orchard Central to Plaza Singapura decked in mandarin-orange lights. Visitors can also look forward to prime photo displays with their favourite Disney characters along the entire Orchard street such as Ariel from The Little Mermaid, and Mickey Mouse and Friends. 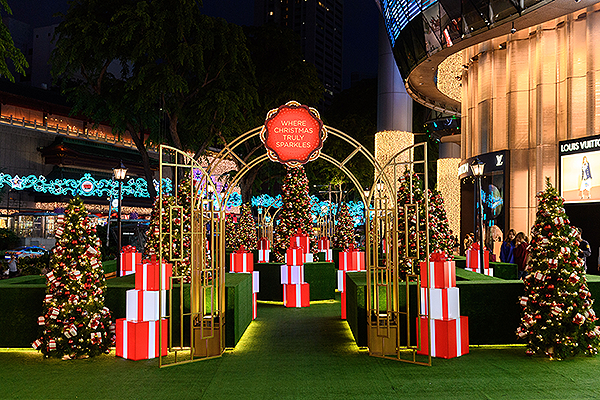 Yeah, as if the Christmas light up in the entire stretch of Orchard Road wasn’t wowzers enough for you, Ngee Ann City is back with their Christmas Village again this year to pack on even more festive feels – but this time, bigger and greater. 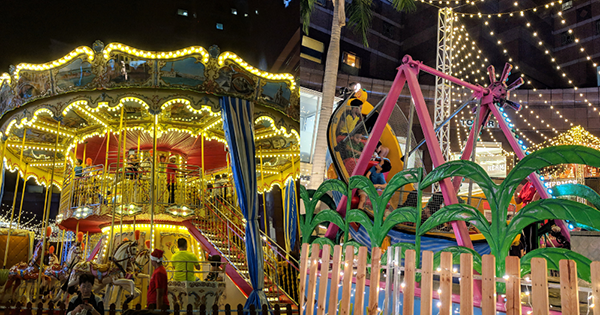 Look forward to amusement park rides for yes – ALL ages – the young at heart can participate in the various rides from a DOUBLE-STOREY carousel, to charming train rides, to classic Pirate ships at a fee of SGD5 – SGD10 per ride. But that’s not all – the food stalls are back! Featuring 8 different stalls from local delights like char siew noodles, BBQ Stingray, fusion delights like salted egg fried chicken from Two Wings, and other greasy-filled delights, sit out in the al fresco area to soak in all the festivities! And to top it all off – if you’ve grown bored of the rides, you can even visit Santa Clause in a Meet-and-Greet session for FREE. Christine is a huge lipstick addict who nurses a steadily growing collection of around 40 lipsticks (at the moment). She also really likes Korean ulzzang fashion style and makeup.